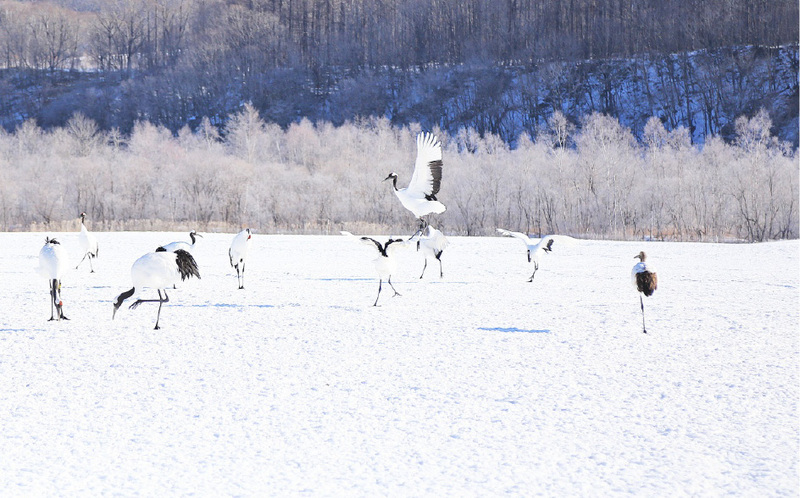 The abundant natural beauty of the Lake Akan area is enclosed by Mt. Oakan, Mt. Meakan, Mt. 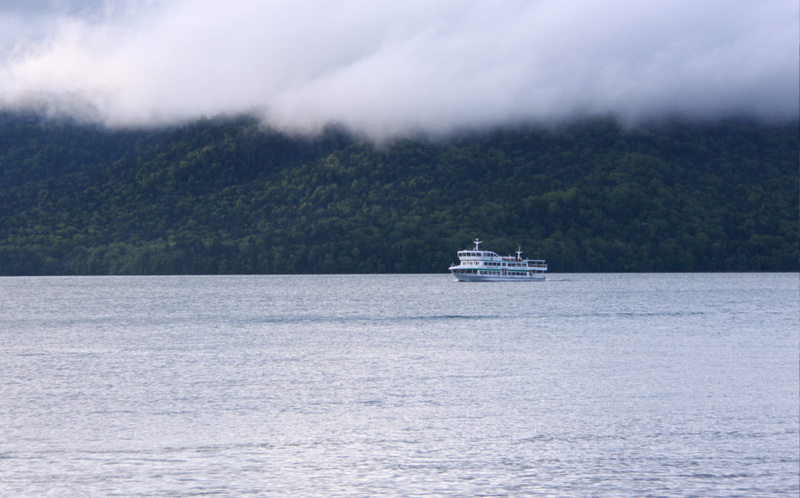 Akan-Fuji and other majestic mountains, and this has made it a leading tourist spot in eastern Hokkaido. 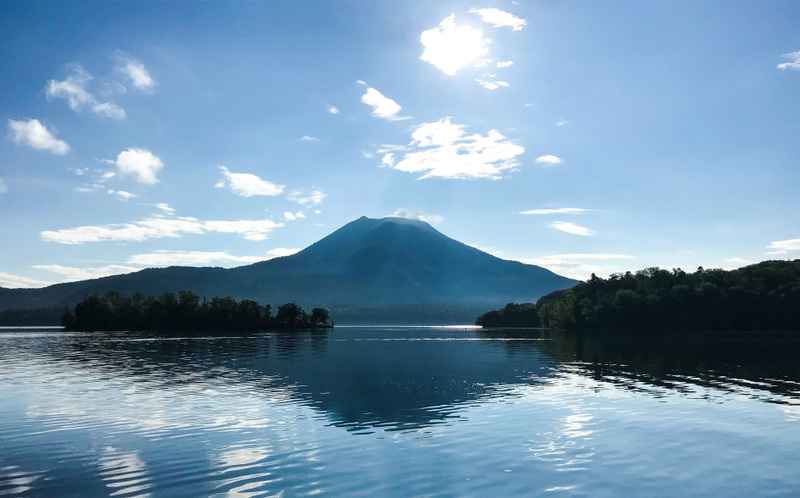 Lake Akan is the only place you can find "Marimo" (algae balls) which are said not to roll up in quite the same way anywhere else, as well as hot springs and a variety of other fun activities, but the Ainu Kotan where you can experience traditional Ainu culture is the biggest draw. 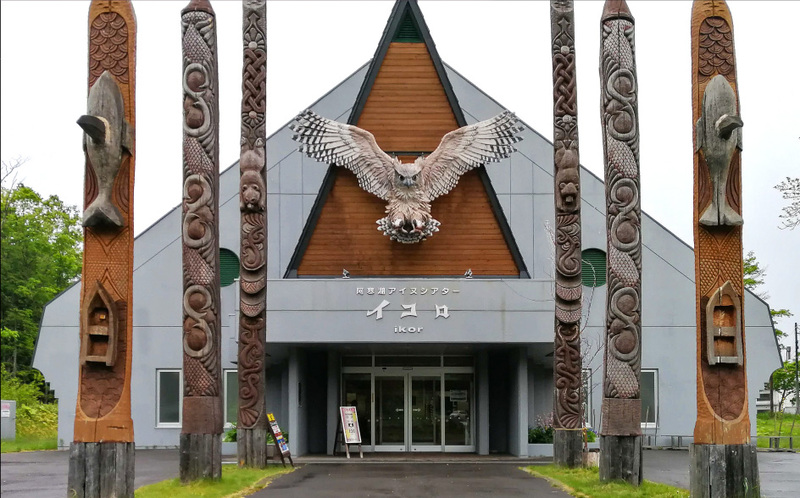 There are many places here to get a taste of Ainu tradition, such as a theater where you can join in on song and dance to honor Kamui, a craft shop where you can try your hand at traditional wood carving and embroidery and a restaurant where traditional cuisine is created from nature's bounty. 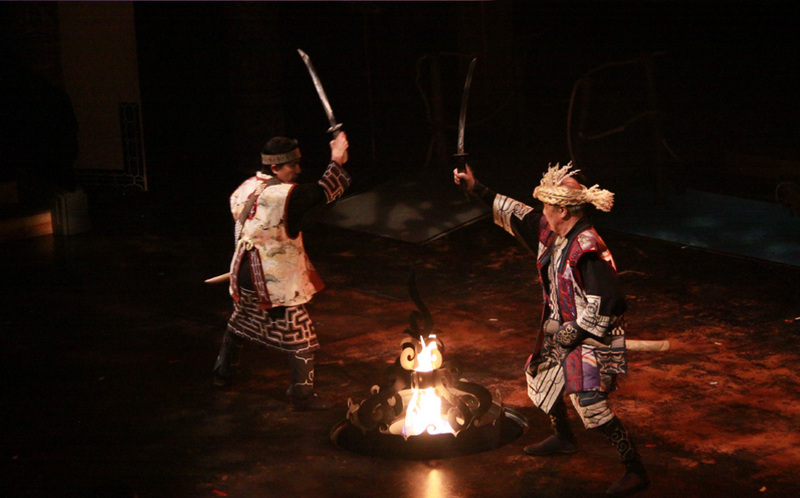 Here you can see the Ancient Ainu Dance, which is registered in Japan as an Important Intangible Folk Heritage Property as well as in the UNESCO Intangible Cultural Heritage list, and watch performances of the tradition Ainu instrument, the mukkuri. 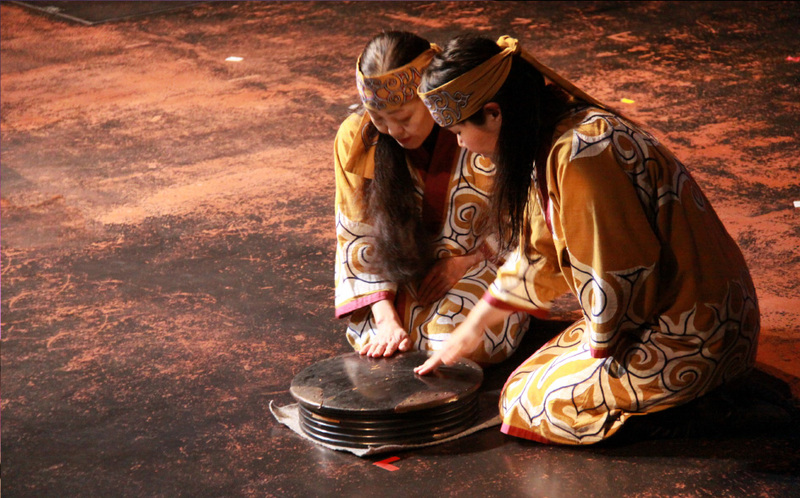 Listen to a song of respect and gratitude to Kamui and the long passed ancestors or enjoy ancient dances filled with the spirit of eastern Hokkaido. 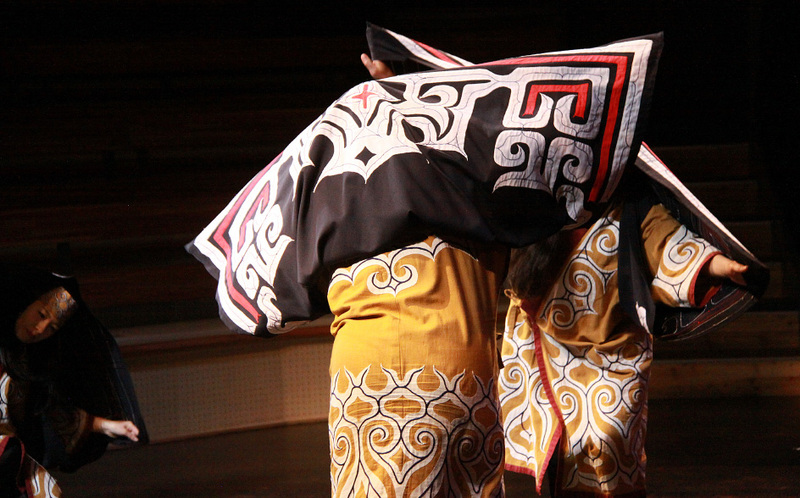 Among these, the "Sarorunrymuse" (crane dance) is known for its movement, which imitates that of a crane. As summer leads into fall, enjoy song and dance by the light of the fire at the Iomente Fire Festival. 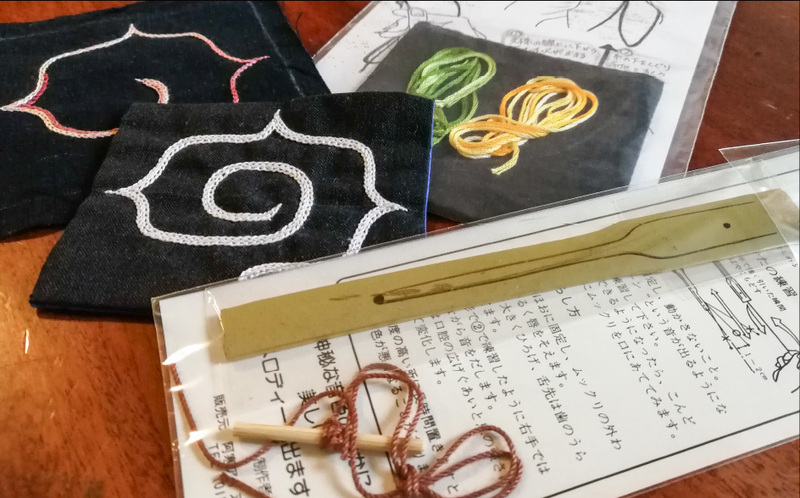 You can also try traditional Ainu embroidery or crafting a mukkuri, a traditional instrument (5 ppl. or more, reservation req.). 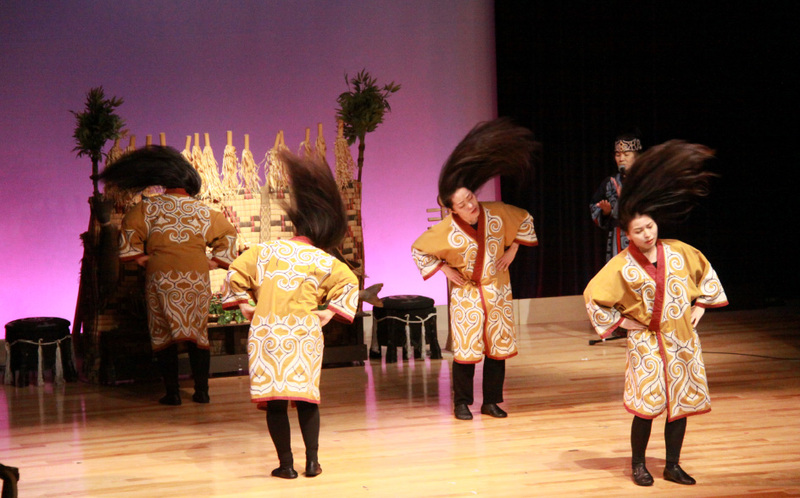 Jr High and High School Groups of 30 or more: ¥75　Duration: 30 min. 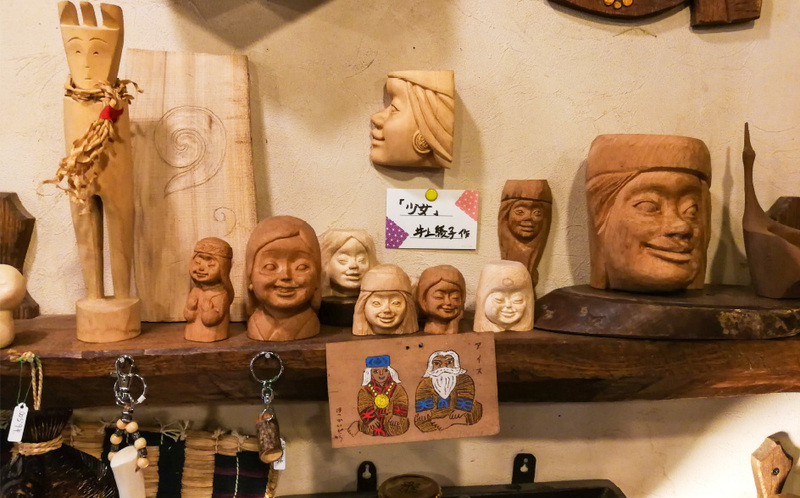 In his folk craft studio, you can find many works left behind by late Masamitsu Takaguchi. 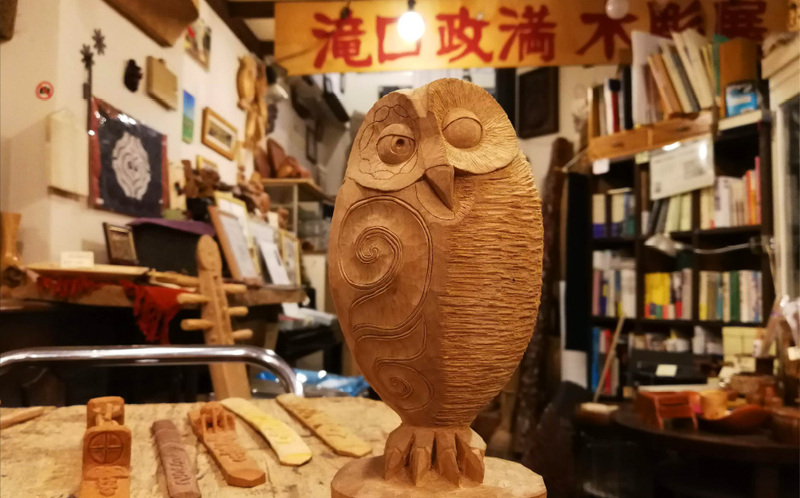 He crafted these pieces in the motifs of owls and women, and they exemplify Lake Akan woodcarving. 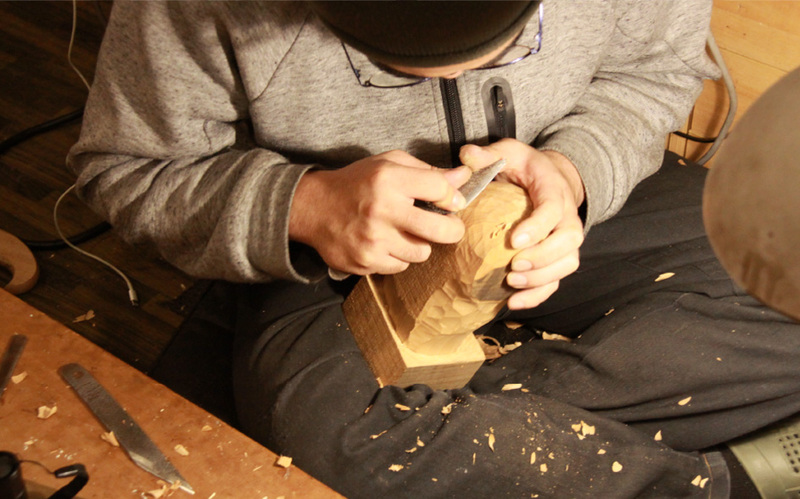 His, son, Kengo has inherited both his father's vision and his workshop. 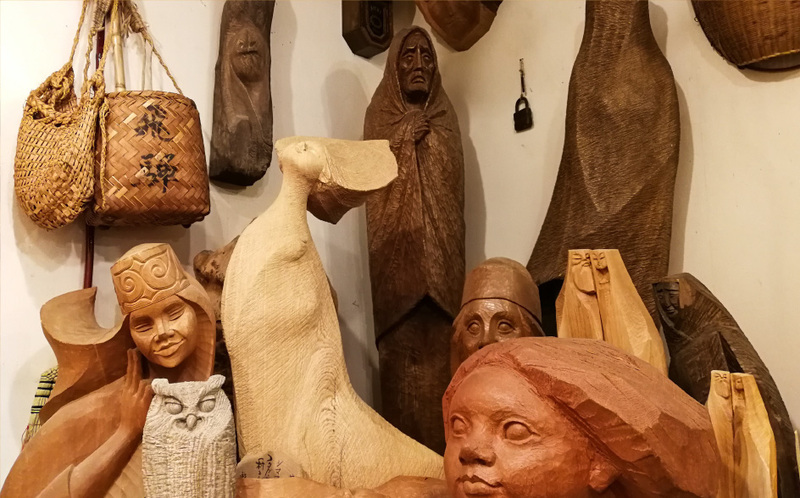 Creations by both father and son fill the area as you pass through the workshop and enter the store. 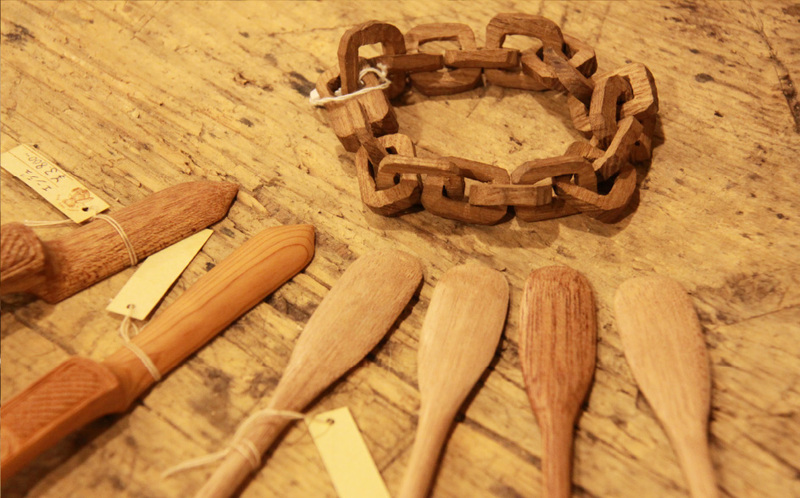 Kengo creates a diverse range of works, from butter knives and bracelets, to "ikupasuy" (Ainu ceremonial sticks). 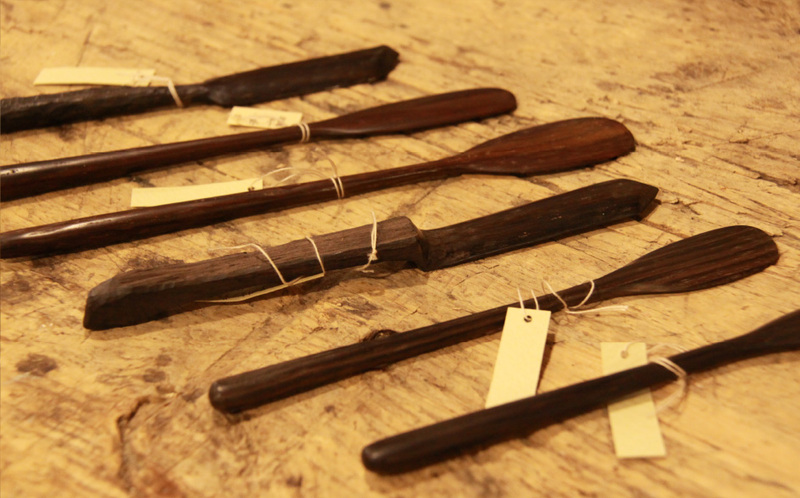 One butter knife, made of ebony, has been polished to a perfect shine. The second floor features a gallery where the works of the late Masamitsu are displayed. A gallery featuring the works of Masamitsu. 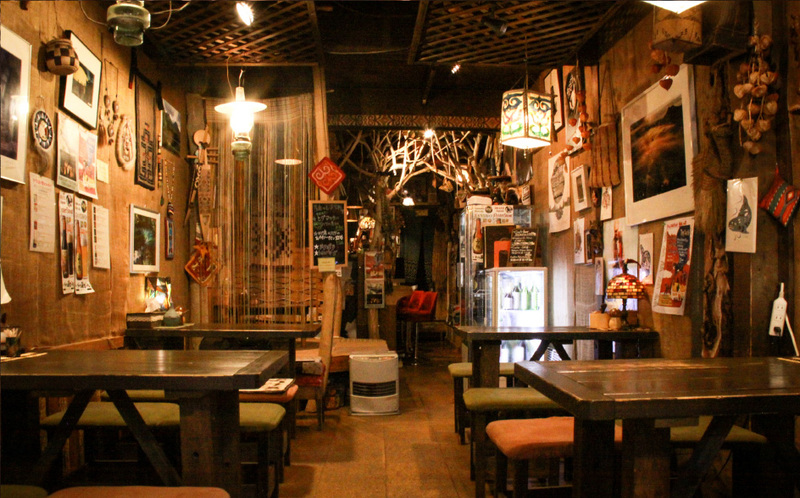 "Folk Art & Café Poronno"
Folk Art & Café Poronno is a recommended destination for those who would like to try traditional Ainu cuisine. 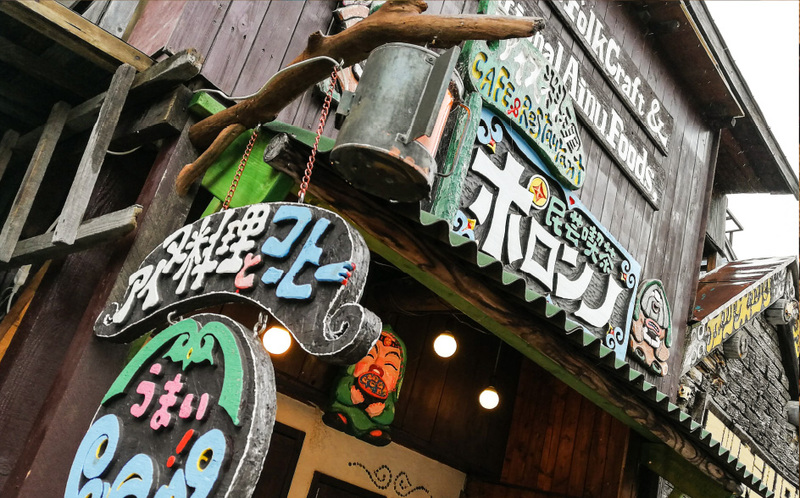 This long-running Ainu Kotan establishment is often crowded with both local and out-of-town visitors. 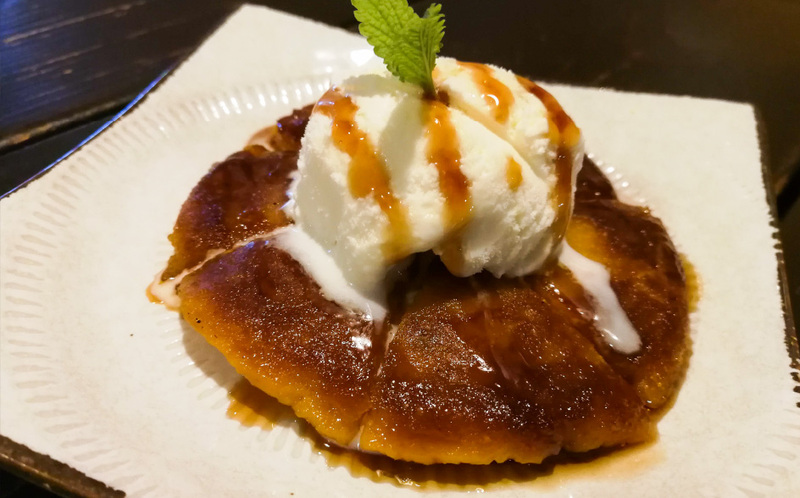 Here, you can enjoy creative cuisine made from regional ingredients, such as staple traditional dishes like "ohau" or "pocche imo", a dish made of fermented frozen potatoes. 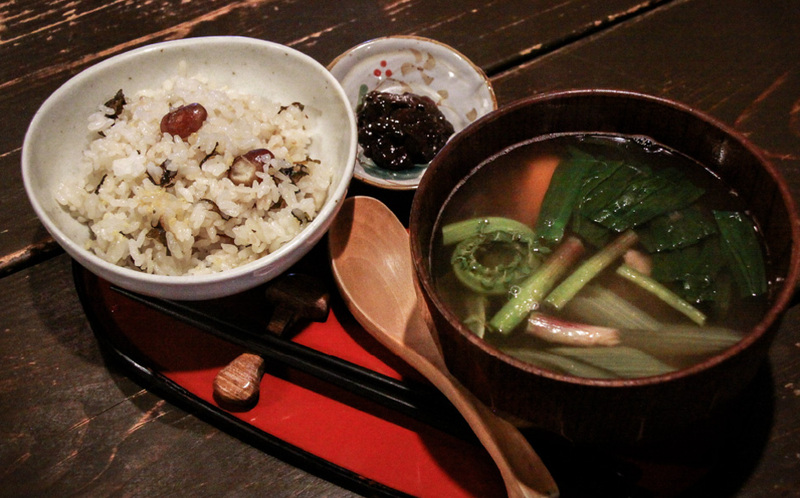 The traditional "yuku" (venison) meal set is highly recommended. 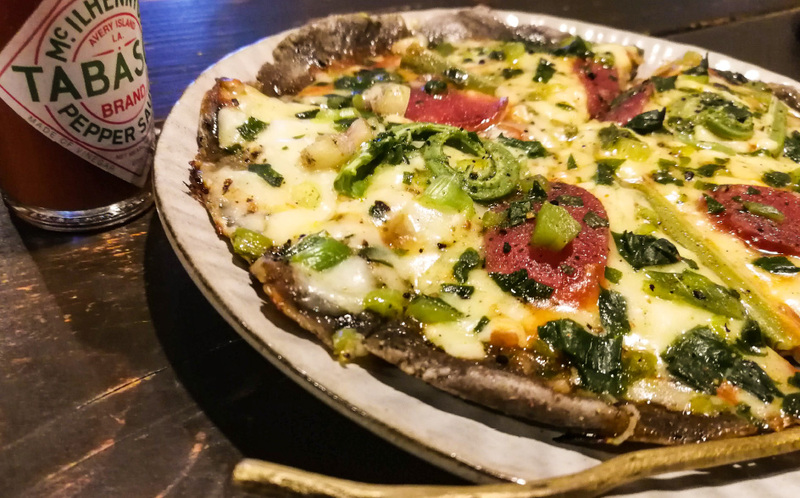 This popular menu item includes "ohau", a simply seasoned soup of tender venison and locally grown wild vegetables, served with "amamu", rice steamed with beans and wild vegetables, and "mefun", salted and pickled salmon kidney. 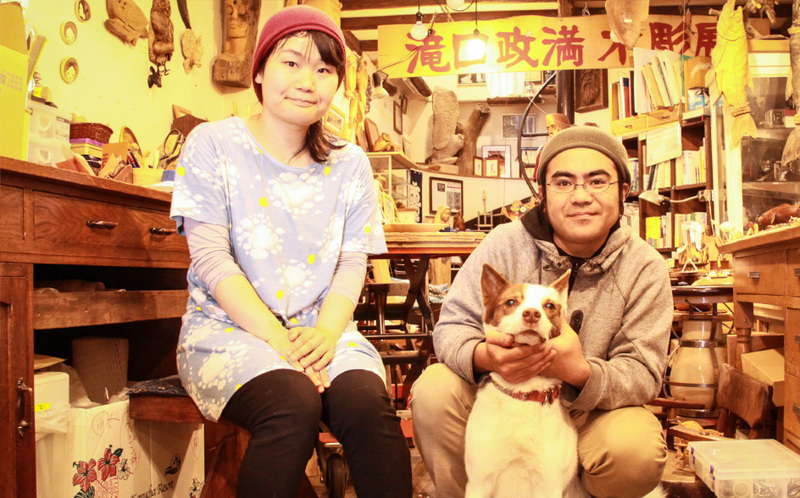 The store's name Poronno, is the Ainu word for "large and plentiful"
Lake Mashu is a caldera lake with a circumference of 30km and a maximum depth of 45m. Mt. 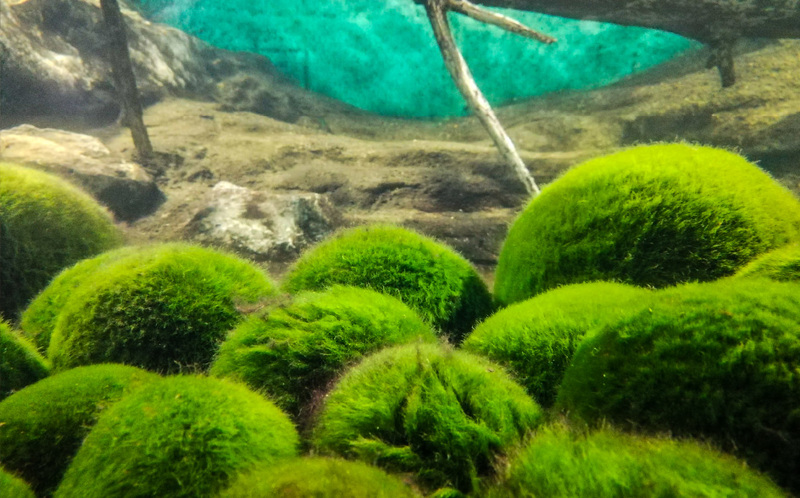 Oakan rises to its east and the marimo (algae balls) found in the lake are a natural monument of Japan. 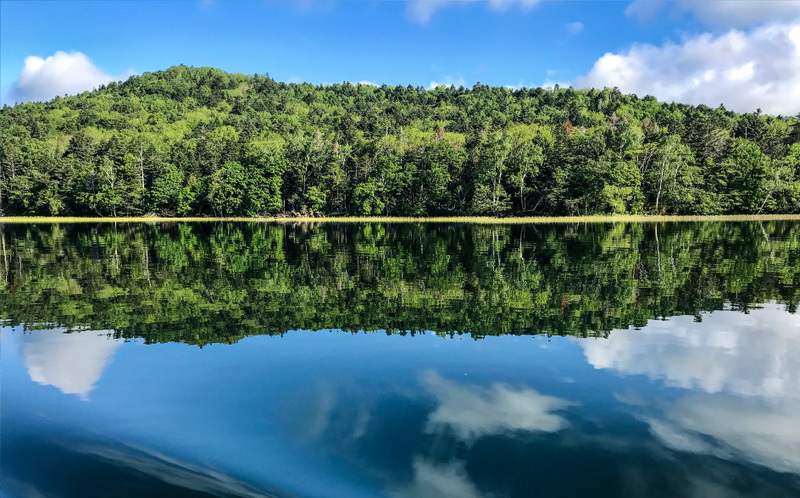 We recommend taking in the mysterious lake's scenery and the marimo that call this lake home via a sightseeing steamboat. 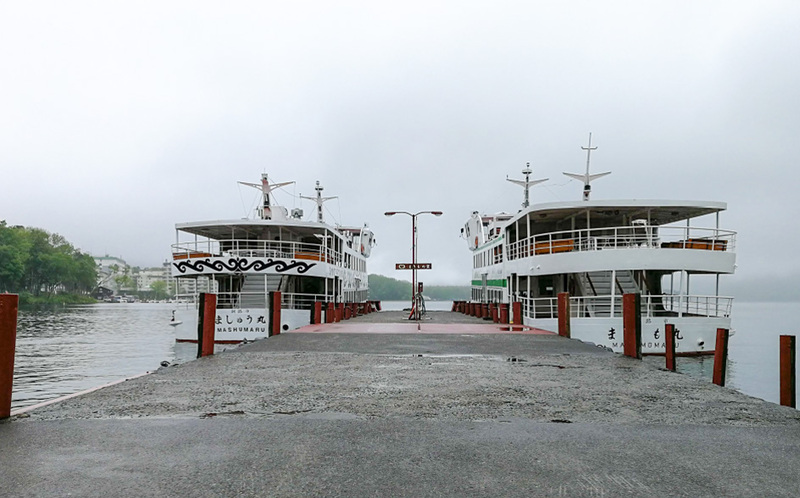 There are four islands on the lake, Ooshima, Koshima, Churui, and Yaitai, and their beautiful seasonal landscapes have charmed many a tourist. 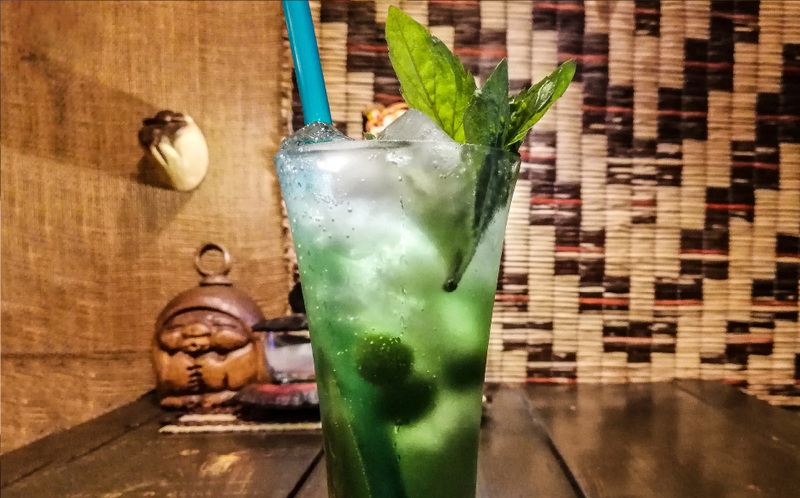 Midway through the cruise, you will stop at Churui Island, home of the Marimo Exhibition and Observation Center, to get a closer look at the marimo. 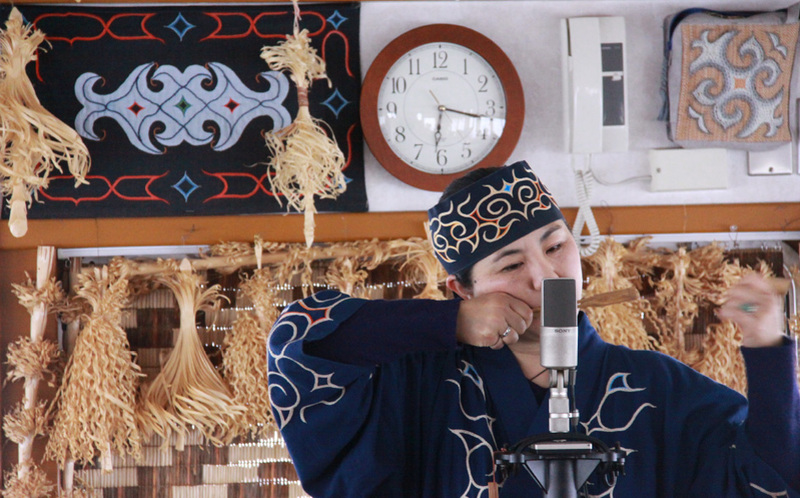 If you take the earliest cruise of the day, you will be joined by a guide who will share Lake Akan tradition with you, such as a performance of traditional Ainu instruments, the mukkuri and tonkori. Required time: Regular cruise (approx. 18 km by boat): approx. 85 min. *The 1st round trip to Marimo Exhibition and Observation Center (approx. 12 km by boat): approx. 60 min.